Emmy time again folks, on of my favorite Sundays of the year. Most people look forward to the Superbowl, I count down the days to the Emmys and the Oscars. The following post is going to do two things. The first thing I’m going to do is simply let you know who won each category in case you missed the show. The second thing I’m going to do is let you know my reaction to the winner of each category, letting you know if I agree and why or why not. I’m not necessarily going to talk about every category because honestly, there are some I don’t care that much about but you’ll get my opinion on all the big categories. I am not upset that Eric Stonestreet took home this win. He is a very talented actor and deserves recognition for his work in Modern Family. If I were to chose the winner of this award however I would have given it to Ed O’Neill. O’Neill plays a great character in Modern Family and deserves recognition of his own. I’m also upset that Max Greenfield did not take home the win for his portrayal of Schmidt in New Girl. For me, Greenfield makes that show and I think he deserved the win. Who Should Have Won: Louie C.K. I would easily have given this award to Louie. He is a brilliantly talented comedian, actor and writer. He created on of the most unique comedy shows on television and deserves this award. Julie Bowen does a great job in Modern Family and is very funny but I believe Kristen Wiig is the funniest women on television. Who Should Have Won:Louie C.K. I am going to come right out and say it, I do not like Two and a Half Men. I didn’t like it when Charlie Sheen was in the show and I don’t like it now that Charlie Sheen is not on the show. Jon Cryer is a good actor but I do not think he should have won the Emmy for Outstanding Lead Actor. Maybe I bias towards Louie C.K. but I do not understand how he did not take home this Emmy. 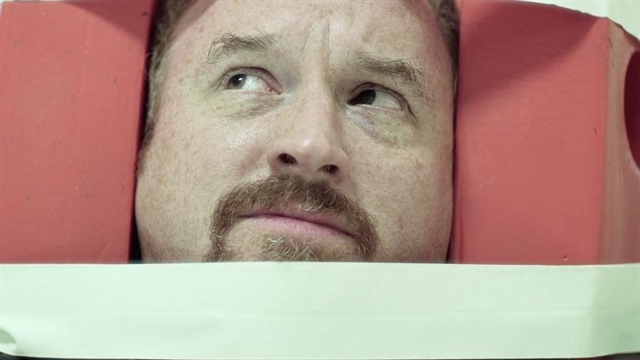 He is outstandingly hilarious in Louie and derived the win. I have not seen Veep so I can’t really make a strong case for Julia not winning. I hear good things about the show and I hear she is great in it. I wanted Amy Poehler to win for her work in Parks and Recs as Leslie Knope. I have wanted her to win each year she has been nominated and will not be happy until Leslie Knope gets her Emmy. Top Chef is the only reality television show I watch. Betty White should win everything she is nominated for. Breaking Bad is on of my favorite television shows. I think everything about the show is perfectly done and I think Aaron Paul is an outstanding actor. During any other season, I would say that Aaron Paul would deserve the nomination but I nobody nominated in this category even compared to Giancarlo Esposito. Playing the villain in Season 4 of Breaking Bad, Gus Fring, Esposito gave on of the best acting performances I have seen on television. How he did not win this award I will never understand. Every time he was on screen, Esposito proved what a great actor he is by creating a terrifying villain with more layers to him than I thought possible. Homeland is another show where I like to use the word perfect when I describe it. A shockingly entertaining and engaging show from beginning to end with writing that grabs you at the start and doesn’t let go even after the show is over. Again, I have not seen Downton Abbey so as far as I know, Maggie Smith does deserve the win. I know she is an outstanding actress and don’t doubt that she brings television acting to another level. From what I’ve seen, Anna Gunn deserves the win. I absolutely despise her Breaking Bad character but she shows that she is a very talented actress throughout that show. This is a situation where if I had to pick, I would have given the award to Bryan Cranston but that doesn’t mean I don’t think Damien Louis deserves it. His work in Homeland was outstanding, playing the shows villain or hero, depending on how you look at it. It is a great performance and though I would have voted for Bryan Cranston, Damien earned this Emmy. Playing a bipolar CIA agent, Claire Danes earned this Emmy award in a single episode of Homeland, the rest of her brilliant performance throughout the season was just icing on the cake. There was a single scene, and I will never forget watching it, when Danes’ character has gone manic. After watching this scene I sat back in my chair and told myself that Danes was winning the Emmy this year and I was correct. Beyond the fact that the writing, directing and acting throughout all of Homeland was amazing, it was Claire Danes’ performance on her own that turned Homeland into one of my favorite television shows. I know that Modern Family has already won this many times before and I know that we are all getting tired of having the Outstanding Comedy Series locked down every year but looking at the rest of the nominees, Modern Family really was the best comedy. Part of me wanted to say that Breaking Bad should have won this award but when it comes down to it, I think Homeland was better. The show did not have a weak link or a flaw, it was enthralling and engaging and I am so glad that it was giving the recognition it deserves.